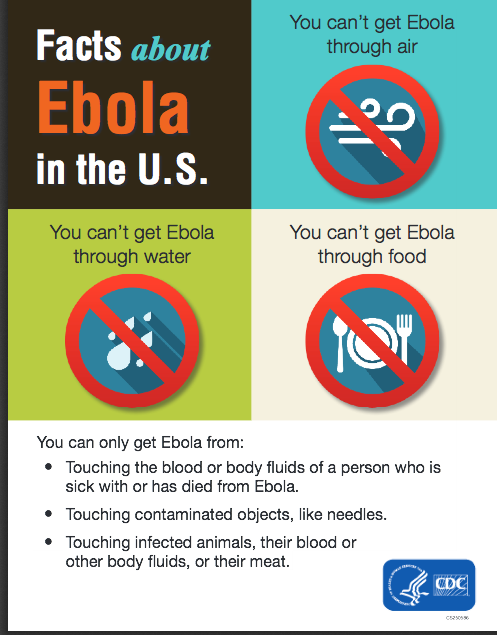 So given the fact that I live so close to the “Ebola hospital” (just two hours!) I thought I’d share with my readers what precautions I’m taking to protect my family’s health. 1. I’ve gotten a flu shot (and encouraging my friends and family to do the same), because influenza is a far bigger threat to our health than Ebola. 2. I am donating to Doctors Without Borders, because the crisis is in West Africa and it’s critical that we stop it there. Those brave physicians and nurses are on the front lines of the battle against Ebola, and they need our support. Strangely, while stopping the outbreaks in West Africa is absolutely crucial, there’s almost no public charitable response to this crisis, in contrast to the many campaigns we see after natural disasters. I just came across #tackleEbola on Twitter, and that seems to be another good effort. I hope it takes off. Alex Jones is, of course, an extreme example. But truthfully, how are we influenced by our entertainment? We love a good “outbreak” story–they’re deliciously scary. But this is the real world, and there are consequences when we allow our fantasies to inform our decision making. Epidemics are not entertainment, and treating them as such, ironically, allows them to get much worse. Furthermore, the panic that we are indulging in has hurt many people unnecessarily. Schools in Texas and Ohio have closed. A cruise ship was sent back home to the United States from Belize because it was carrying a Texas hospital lab worker (the worker was following CDC protocol and 19 days had passed since any possible exposure: she posed no credible danger to her shipmates). Despite health experts’ recommendations politicians and the majority of the public favor a travel ban from West Africa. A Texas college has a policy of rejecting applicants from Nigeria, despite the fact that there have been no new cases in that country since September 8th. You can read additional reputable information about Ebola here, and from Doctors Without Borders. Despite irresponsible rumors to the contrary, Ebola isn’t airborne, nor is it likely to become airborne in the future through mutation. So how should a reasonable person think about this? It is absolutely appropriate to criticize the CDC and Texas Health Presbyterian for their initial mishandling of the first infections. But there is a difference between criticism and fearmongering. I have spoken with a Texas physician who was extremely critical of Texas Health Presbyterian, but told me that physicians’ and nurses’ training has drastically changed in recent weeks to include live simulations, supervisors, and other critical measures. He feels a lot more confident that their hospitals will be able to competently handle any cases, and was convinced that this wouldn’t have happened had they not learned from their earlier experiences. (I hope that this is true nation-wide). I think we should be mindful of how our popular media has influenced us, and alert to the possibility of the press stoking our fears for attention. I think we need to think carefully about who constitutes a credible source of information here–who are the experts?–and listen to what they’re saying, rather than conspiracy theorists seeking to profit from our fears. By cutting through the hype and panic, by thinking critically about Ebola in the context of relative risks, we can make much more rational decisions to protect ourselves and our families. Next Article A scientist was asked to review a new paper. You’ll never guess what happened next! Great information, Jennifer! I’m extremely tired of hearing people panic and seeing selfies of them holding their breath on airplanes. My husband and I live in Atlanta, just a few miles away from Emory Hospital. Three patients have been treated here and I don’t see too much panic over it (though the news is trying really hard to change that). I find it odd that one patient in Dallas infected multiple nurses, but three patients in Atlanta have infected a total of no one. Do you think the mishandling is a problem that the CDC caused or is it possible that THP just didn’t follow protocol and is now trying to cover their asses? We knew how Ebola spread before Duncan was hospitalized, so I find it strange how poorly this was handled. Wow. This is really interesting. Thank you so much for sharing. I haven’t been panicked, since I pretty much knew Ebola was hard to spread, but my sister can sometimes freak out about health stuff (I came back from a trip to Germeny and she “jokingly” asked if I had it) and this will help me calm her down, if it comes up again. She’s been mellow as of late, though. Click on the link one in the upper right corner. Time will tell and,mMaybe New York will soon test this research conclusion! No, it is not going to suddenly become airborne. Alex Jones’ role in this universe appears to be to make Glenn Beck look sane at times. Either you have a long commute to UT, or you quite underestimate trips along I35 between Austin and Dallas. Still… two hours. Three hours. Doesn’t matter. a) revoke US visas to holders of Liberian, Sierra Leone and Guinea passports. b) quarantine travelers from West Africa to US either there or here. c) fund NGOs in West Africa to provide education commercials about isolation and food to the quaranteened. d) State dept to negotiate w West African govts to enforce quaranteen on those who came in contact w the dying. There have been indications that Ebola is transmitted when someone in contact with an Ebola patient in last stages touches their own face or someone else’s face. Blog about that. Touching one’s face is subconscious, yet any touch prevented reduces risk of infection. Donate to a charity which is shipping and distributing cleaning supplies and soap to West Africa. Ms Raff. I really enjoyed your article and found many good “tips” for information consumers, especially using reputable, scientifically accurate information sources. But I was particularly drawn to your use of the words, fear-mongering, conspiracy theorists, quack remedies, near-panic, etc. Why? I noticed your background in genetics and anthropology. This is where I am going off-track. In recent years I have been utterly perplexed by conservative thinking to the point where I gave up caring what they say and became more interested in why they think the way they do. You no-doubt know better than I do that people are partly defined by how and where they were raised. But there seems to be more to it than that because we are also born with certain traits which means it is genetic. The discovery last year that homo-sapiens interbred with Neanderthals is fascinating. We now know that many of us are running around with some amount of Neanderthal DNA. It seems like there are people who have more inherent fear than everyone else. They are afraid of everyone and everything around them, tend to make things up, are easily rattled, etc. These traits and many more seem to be consistent with ideologically conservative people and there seems to be a common denominator – fear. Do you think this inbreeding could be the source of their fear? I am assuming Neanderthals lived in a much harsher environment and were not as evolved intellectually as those that came after them, thus inherent fear in order to survive. Also, people in the middle-east were known to cross paths with Neanderthals and also inbred with them. Could that at least partly explain their militancy and penchant for indiscriminately killing one another even though there is little difference among themselves? Perhaps they have an even greater % of Neanderthal DNA? Your comments would be most welcome. Thanks for contributing to the misinformation and fear, Jennifer. Maybe you don’t realize it, but many people only scan links and article titles, so your witty “scare” title implies that being “only” two hours from an ebola patient means extra measures are required, and thus implies there is a health risk. While your article refutes this, unfortunately many people will read see your headline as it makes it on various websites but not read your post. They will gleam from it that being within hours of a ebola patient is dangerous to them and there families. So you have in fact contributed to the very problem you are trying to help. Low-information voters are probably not Dr. Raff’s intended audience, and delusional idiots like Alex Jones have already whipped the waters into a hysterical froth regardless of what she says. She cleverly drew people–like you, possibly–into reading her blog, and as a result they may learn something. When I was getting my teaching credential, there was a book, “Teaching as a Subversive Activity,” and some practices along this line were detailed. Now keep tossing those rocks and using those clubs, but be wary of those of us who are able to dodge them and are also proficient in the use of swords and even actual light sabers. The “teachable moment” may not have existed for you (or perhaps this is it now), but there are alternatives to “lowest common denominator” pedagoguery.